Washington may finally take up mortgage reform. 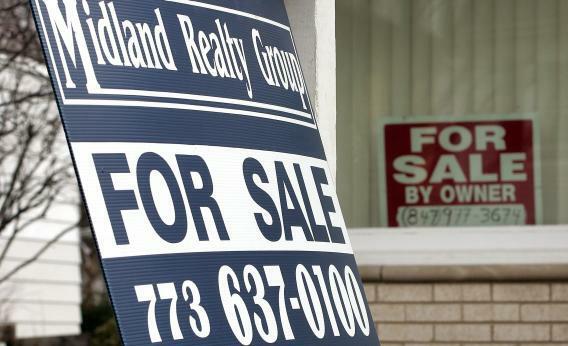 America’s lawmakers may finally take reforming housing finance seriously in 2013. Assuming Congress settles the deficit debate, sorting out the government’s role in funding home loans should be its next stop. And a number of obstacles are dissolving. U.S. taxpayers are on the hook for at least 90 percent of the nation’s mortgages through Fannie Mae, Freddie Mac and the Federal Housing Administration – a dramatic increase since 2007. But Frannie’s guarantee fees are now so low that private lenders cannot compete to wrest back market share. Increasing the fee is the simplest policy fix. But that doesn’t wholly address the future role for Fannie and Freddie, which between them needed $188 billion of taxpayer aid to stay afloat. The general consensus is that they should be wound down – even some Democrats and the Treasury are on board. But there’s no plan of action because the environment seemed too tricky. That’s now changing. The housing market is recovering. Home prices and existing home sales have risen steadily this year while inventory fell to a 10-year low. Some regulatory certainty is coming as well. The Consumer Financial Protection Bureau should finalize what constitutes a qualified mortgage in January. This will exempt lenders from certain lawsuits. That will then enable the Federal Reserve and five other watchdogs to define the meaning of a “qualified residential mortgage” that will set standards – such as how much equity a borrower has in a property – for prime loans that lenders won’t need to retain a chunk of. New documentation standards will also improve transparency. So banks and investors should feel comfortable taking on more mortgage risk. Meanwhile, Congress now has an advocate who wants mortgage reform front and center: incoming House Financial Services Chairman Jeb Hensarling. Some hurdles remain. Industry lobbyists will make a stink about reform. Lawmakers can still make dumb decisions. And any new financing framework is likely to be implemented over several years to avoid a crash. But if lawmakers don’t realize that 2013 is a prime time to take up housing reform, it’s hard to imagine when they ever will. Read more at Reuters Breakingviews.